Deep under the sea lies a glittering city. Rapture: founded to be a last beacon of enlightened civilisation… now it\'s anything but. Welcome back to the watery hell of BioShock 2. The original BioShock won more than 50 Game Of The Year awards. BioShock 2 returns to the same stunning drowned city. This time, ten years after BioShock, events take a truly shocking twist… you are the original, prototype \"Big Daddy\". Trapped in a metal armoured case, you can experience the powers of one of Rapture\'s most-feared denizens. With terrifying new inhabitants to face off against, BioShock 2 adds new genetic plasmid enhancements and new combat elements to further immerse you into BioShock\'s groundbreaking mix of intense and strategic action, spooky setpiece environments and deep and twisted storytelling; and for the first time, multi-player modes, so you\'re not ever truly alone in Rapture. There are no comments yet about Bioshock 2 . You can be the first one! Bioshock 2 Speedrun Gameplay! 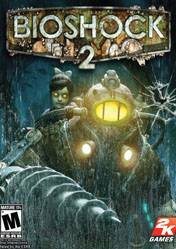 | TheBioshockHub Bioshock 2 Walkthrough!